Detects faces and captures snapshots. Is there a better alternative to Logsnap? Is Logsnap really the best app in Security category? Will Logsnap work good on macOS 10.13.4? 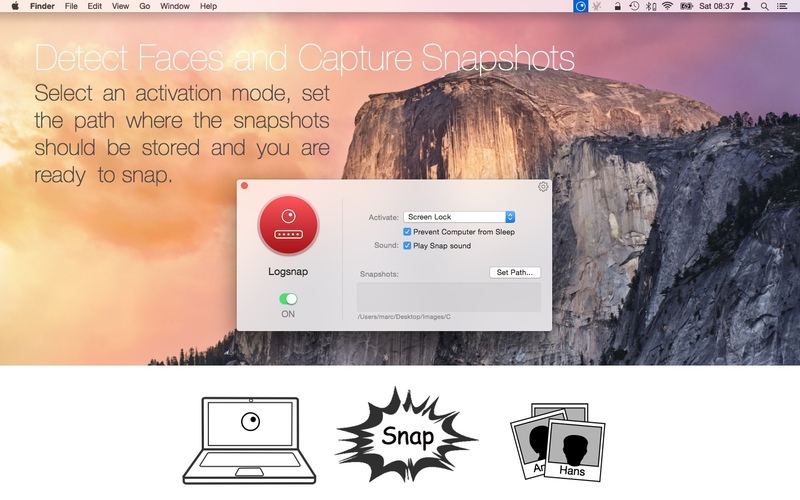 Logsnap can detect faces in front of the iSight of your Mac and capture a snapshot. Don’t miss to activate Logsnap if you have to leave your Mac sometimes alone. Saves snapshots in free selectable directory. Note: The downloadable demo is at 1.1.1. The version available for purchase on the Mac App Store is version 1.1. Logsnap needs a review. Be the first to review this app and get the discussion started!